Help us take the show on the road! We have been praying and dreaming about creating some mobile outreach units that would give us the ability to serve in other neighborhoods and develop more partnerships throughout our city. 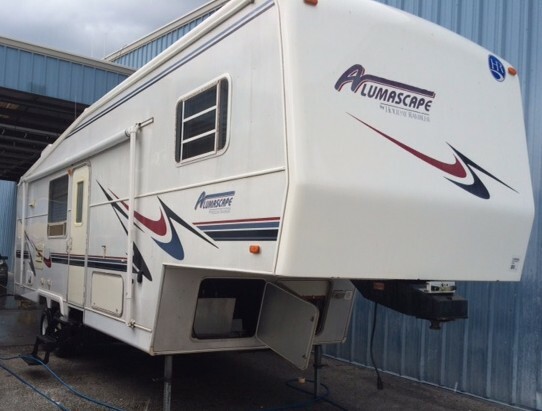 We have an opportunity to acquire a 29' fifth wheel trailer for only 4k! We need to move quick and could really use your help to make this purchase. Our hope is to raise $6,000 as we plan to use the extra money to retrofit this trailer into a mobile version of our Free Market. I am asking that you would please pray and consider contributing toward getting the Well on wheels. You should also know that we have an opportunity to purchase a food truck for 14k as well. Our hope and prayer is that we will run both a mobile market and kitchen in the very near future. Please consider standing with us.